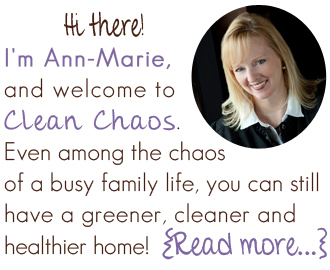 Caring for ourselves, our homes and our world. This post may contain affiliate links. See my disclosure policy for details. Some pests are helpful, but not all. 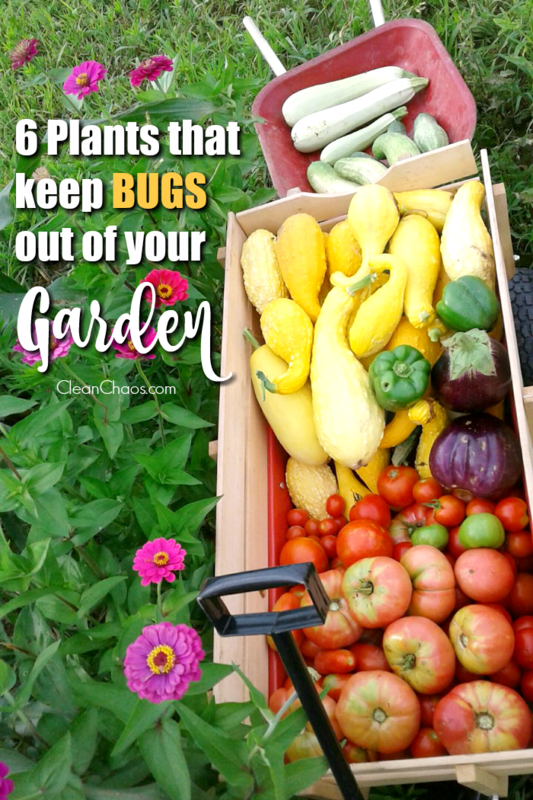 Learn all about plants that keep bugs out of your garden, so you can have a bountiful harvest this summer – the natural way! While some insects actually benefit your garden, there are those you definitely don’t want to deal with. They can eat away at leaves, blossoms and roots, leaving you with a disappointing garden you worked so hard at! Learn more about some of plants that help keep these unwanted bugs at bay. And special thanks to my friend Amy over at A Latte for Ott, A for the gorgeous photo of her harvest last summer! A marigold is typically the most popular flower choice when it comes to keeping bugs out of your garden space. They’re especially great for eliminating mosquitoes and aphids. Marigolds prefer the sun, so it’s always best to plant these flowers in a shady spot. Mint is great for keeping biting insects away. It has a pleasant fragrance, which makes it ideal for a pot on the deck or patio. Mix fresh mint leaves with water to create a natural and affordable bug repellent spray. Chrysanthemums represent another flower variety famous for the ability to repel insects. Pyrethrin, a compound found in chrysanthemums, is actually a key ingredient in many commercially-available bug sprays. Chrysanthemums repel insects like beetles, mosquitoes, roaches, ticks and silverfish. Lemongrass plants produce citronella oil. The oil is often burned in torches and candles, in effort to keep pests such as mosquitoes away. Planting plenty of these plants in your garden, or even having potted on your patio, produces the same effect. Lemongrass needs lots of sun, so always plant it in a location that receives as much sun as possible throughout the year. Basil is an easy-to-grow herb and pairs well with many dishes. 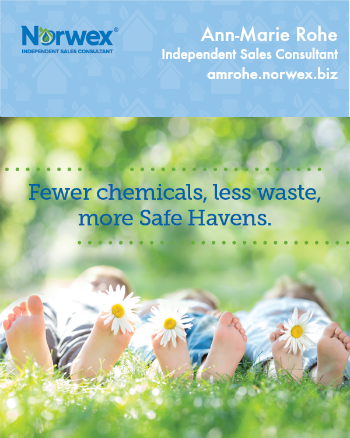 It’s also an excellent choice for keeping pests such as flies and mosquitoes out of the garden. Basil leaves contain an oil poisonous to mosquito eggs. Petunias are brightly colored flowers that repel many different insects. Beetles, aphids and all sorts of other bugs will go in the other direction, when you include them in your garden. Like many other flowering plants, petunias prefer a nice sunny spot to grow. Planting any or all of these varieties goes a long way to keeping bugs out of your garden. This means less foliage waste, and a larger harvest at the end of each gardening season! 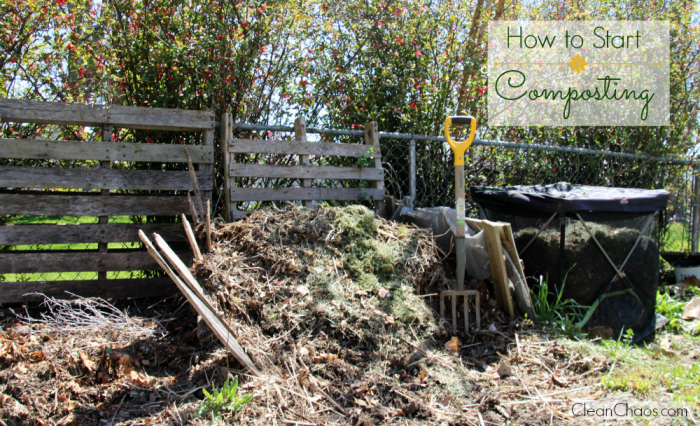 Do you have interest in how to start composting? Learn from a Master Gardener!